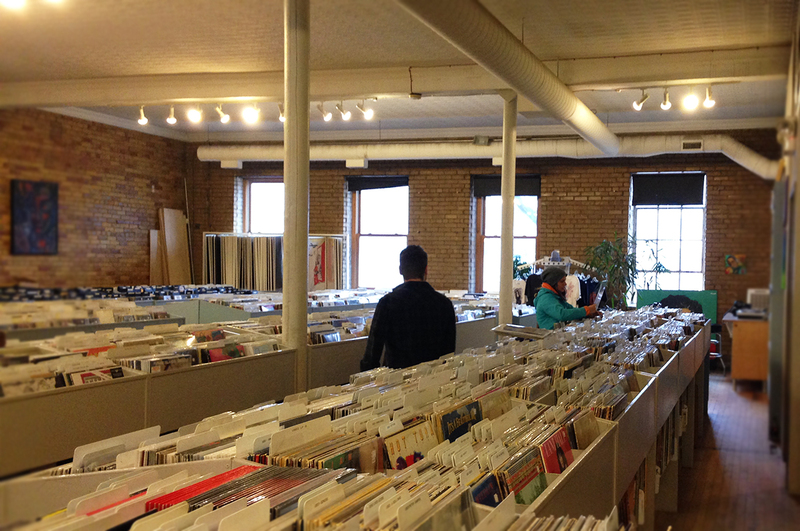 A record store is seldom just a record store. It’s often a gathering spot where music lovers congregate, eyeball one another and explore the art form they hold dear. There are different kinds of record stores; some are dank, cramped little joints that smell like an old man’s pants and cat piss, while others are lavish sound boutiques with perfectly arranged collections that seem too pristine to touch. 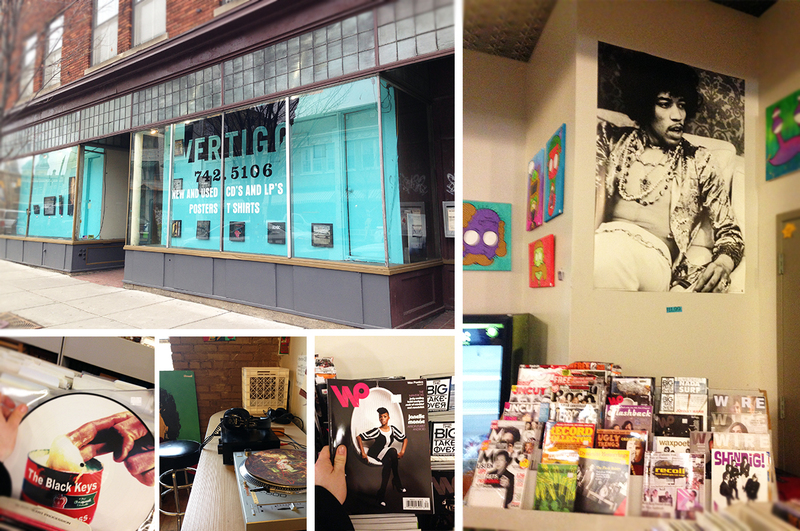 Vertigo Records in Grand Rapids isn’t in either of these two camps. The store sits on Division Street in a tumultuous neighborhood, south of the city’s downtown. Surrounded by ghostly ﬁgures wafting in and out of liquor stores, transients hiding in the shadows of doorways, boarded up dive bars and condemned storefronts, Vertigo’s facade is easy to miss. The shop’s black logo blends perfectly into the street’s dreary urbanity. Once inside, the space opens up into a sprawling expanse of captured sound. Vertigo has a certain weathered charm and undeniable history. You get the sense that the proprietor of this shop knows a thing or two about music collecting and the culture that surrounds it. A quality record store like Vertigo tells a story, has a feeling of place and a connection, through some kind of cosmic resonance, to all other good record stores in the world. When I walk into Vertigo I listen to what is playing on the store’s stereo system. A record store isn’t just a space to go after what you know, it’s an opportunity to be exposed to something you’ve never heard. During my visit a local rap group rambled in for a photo-op in front of a wall of records, an excited couple ﬂipped through albums looking for a specific piece of music they both loved, and two teenagers in black hooded sweatshirts slowly, methodically studied the heavy metal selections. I didn’t have much in common with any of them, but somehow I knew that we were all happy to be standing in Herm’s record store on Division Street, pleased that it was still around.